I hit 10,000 unique views! Hells yeah...I never thought I would actually make it this far. It's pretty sweet. Thanks to everyone for all their viewing! The world is not ended... check me out. The non-slayer of this universe. But seriously if the world ends here soon I'm gonna be so fucked and pissed. Congrats! Also what does it say about me that my immediate reaction to the picture was to click "yes"? I like the reference but it would be nice if the click really lead to something. @ gunkederabbit: I would have done that but alas, I am not savvy enough to so. Or if it's some really easy thing to do, I'm totally a noob at doing that kind of stuff. Great job! 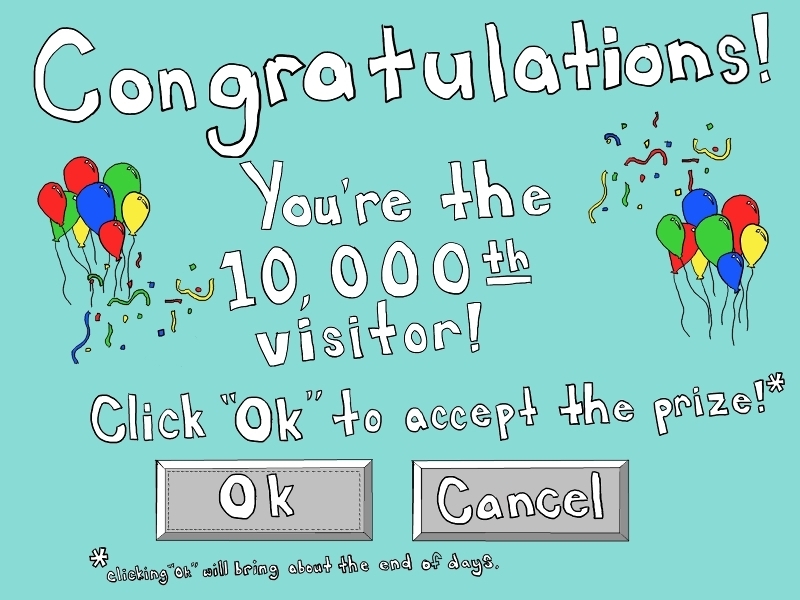 You made it to 10,000 really fast too. A sign of things to come?